But employers can expect better outcomes this year, as the Trump Administration gains a stronger foothold with its pro-employer orientation. The monetary value of the top workplace class-action settlements rose dramatically in 2017, eclipsing the previous high reached two years earlier by almost 10%, according to the latest annual report by law firm Seyfarth Shaw. The top 10 settlements last year had an aggregate value of $2.72 billion, compared with $2.48 billion in 2015. The new record was also 55% higher than the 2016 level of $1.75 billion. Whether the surge in settlement dollars was the beginning of a long-range trend or a short-term aberration remains to be seen. But evidence suggests that another new record may be established this year, Seyfarth Shaw says. On the other hand, evolving case-law precedents and new defense approaches resulted in better outcomes for employers in opposing class certification requests, the law firm notes. For example, employers won 27% of the 257 wage-and-hour certification decisions in 2017, up from 24% the prior year. And employers’ success rate in case-breaking decertification rulings jumped to 63% (15 out of 24), compared with 45% in 2016. Instead, government enforcement litigation actually increased in 2017. For example, the Equal Opportunity Employment Commission alone brought 194 lawsuits, compared with just 86 a year earlier. Further, the aggregate value of the top 10 government enforcement cases skyrocketed from $52.3 million to $485.3 million. The time lag between Obama-appointed enforcement personnel vacating their offices and Trump-appointed personnel taking charge of agency decision-making power. The number of lawsuits “in the pipeline” that were filed during the Obama Administration that came to conclusion in the past year;. The “hold-over” effect whereby Obama-appointed policy-makers remained in their positions long enough to continue their enforcement efforts before being replaced in the last half of 2017. However, as 2018 opens, it appears that the content and scope of government enforcement litigation will change character. “Trump appointees at the DOL and the EEOC are slowly but surely ‘peeling back’ on positions previously advocated under the Obama Administration,” the report says. Still, the ultimate effect may well be increased activity by plaintiffs’ attorneys to “fill the void” by expanding their volume of workplace litigation, according to the report. Meanwhile, over the past few years class-action litigation increasingly has been shaped and influenced by U.S. Supreme Court rulings, Seyfarth Shaw observes. 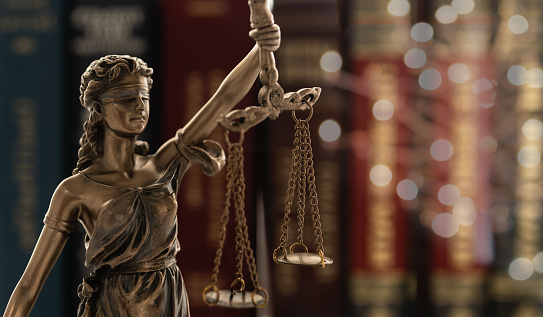 The trend continued last year, with the court issuing several key decisions on complex employment litigation and class-action issues that were arguably more pro-business than had been the case previously. Three related cases on the high court’s docket this year — Epic Systems v. Lewis, NLRB vs. Murphy Oil USA, and Ernst & Young v. Morris — may have especially profound implications, according to Seyfarth Shaw. All three deal with the interpretation of workplace arbitration agreements between employers and employees. In particular, the issue is whether class-action waivers within such agreements — which require workers to arbitrate any claims on an individual basis (and waive the ability to bring or participate in a class action or collective action) — violate employees’ rights under the National Labor Relations Act. “The Supreme Court’s ultimate decision is likely to have far-reaching implications for litigation of class actions and collective actions,” the report says. The issue started when the National Labor Relations Board, under the Obama Administration, began challenging employers’ use of arbitration agreements with class action waivers. But when the case was argued before the Supreme Court last October, the Justice Department opposed the NLRB’s position. The DoJ under President Trump has sided with employers, arguing that the Federal Arbitration Act favors the validity and enforcement of arbitration agreements that include class waivers. “Coupled with the appointment of Justice Neil Gorsuch in 2017 and potential additional appointments to the Supreme Court by President Trump in 2018 and beyond, litigation dynamics may well be reshaped in ways that further change the playbook for prosecuting and defending class actions,” Seyfarth Shaw writes.